Concha y Toro is the World’s Most Admired Wine Brand for the second year running, according to a survey by Drinks International. To download a pdf of the supplement click here. In second place, also for the second year running is Torres, followed by Antinori, Penfolds, Jacob’s Creek, Kendall-Jackson, Michel Chapoutier, Guigal, Vega Sicilia and Chateau Margaux. 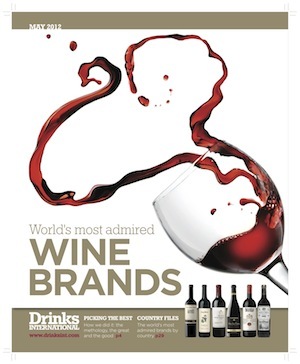 Sixty members of the global wine community nominated the wine brands they admire most. Voters included Peter McCombie MW, Peter Marks MW, Tuomas Meriluoto MW, Kym Milne MW and Lynne Sherriff MW. In his opening summary, Most Admired Wine Brands editor Graham Holter writes: “The results provided a fascinating insight into how the wine industry regards its leading players. The full magazine will be available to view next week.